Because you have been waiting…. Here is a sneak peek at our pre-release 2018 program - happy planning! Each year Ballina Country Music Fest is all about the community and 2018 is no different. 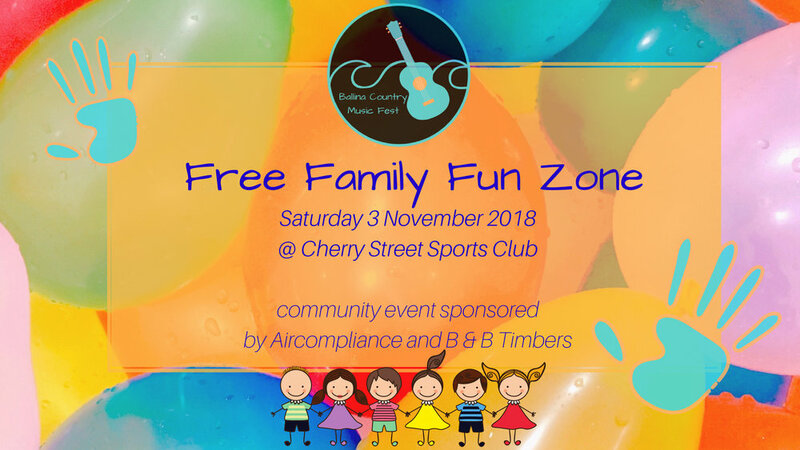 Saturday 3 November our FREE family fun zone returns and will be back and bigger than ever - so many rides and activities for the kids. Also on Saturday our Market Day Street Party will return with the support of our local Rotary Club. Exciting news for the 2018 Ballina CMF! This week, Nationals Parliamentary Secretary for Northern NSW Ben Franklin joined our Festival Director and founder, Carol Stacey at Cherry Street Sports Club with General Manager, Tere Sheehan to announce a $10,000 grant for this year's festival. The grant provides us with state-level support and will be used attract more people to the festival by promoting our beautiful coastal town of Ballina. Don't forget this year's festival dates are November 2 - 4. Stay tuned for artist announcements coming soon. The Ballina Country Music Festival website keeps you up to date on all festival information!